Our trays arrive beautifully stacked and wrapped with 1lb to 5lbs of butter cookies, gourmet cookies or seasonal specials. 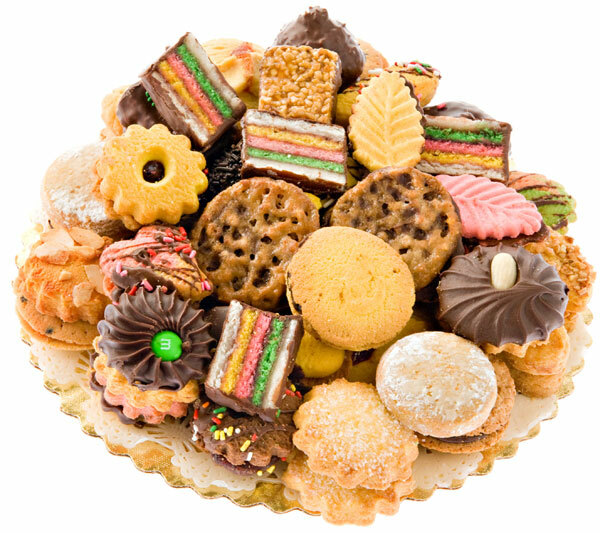 Customize your tray with an assorted mix or an assortment of a certain type of Cookie. Choose from Assorted Butter Cookies, Fruit Filled Cookies, Chocolate Filled Cookies, Chocolate Covered Cookies, Continental Gourmet Cookies or Home Style Cookies. Don’t forget about Continental Cookies Gourmet line and other seasonal options. There are over 100 varieties in all!